Zionism Unveiled: Is Christianity an Offshoot of the Egyptian Mystery System? Osiris was also the first to make and drink wine and he taught the Egyptians how to manage a vineyard as well as process and preserve wine. It is common knowledge to all people of (the) Christian faith that Christ not only enjoyed drinking wine but he also blessed it as his attribute to his own blood. Twelve was essentially the 12 points of the Zodiac in Egyptian astronomy but later the Egyptians calculated the revolution of our planet earth after studying the lunar movements. 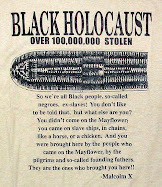 Hence 12x30= 360 plus 5 days for harvest would be 365 days, the calendar that all of us use to this day. In fact, like the Egyptian or Coptic calendar, the Ethiopian Calendar has 12x30 days plus five or epagomenal days. By the same token, the Jewish calendar known as sod ha-ibbur is a derivation of the Egyptian system of intercalating the solar and lunar cycles. In the Book Am-Tuat the Egyptians have illustrations of 12 serpents. Christians then took the Egyptian 12 to mean the twelve Apostles as astronomers did for 12 months. In most African societies the kings council or judges were 12 in number. Editor's Note: There are many who would like to take (and have taken) the information contained in this piece, and similar pieces, to discredit the authority of the Bible. I am NOT one of those people. Those who do so are FALSE TEACHERS! 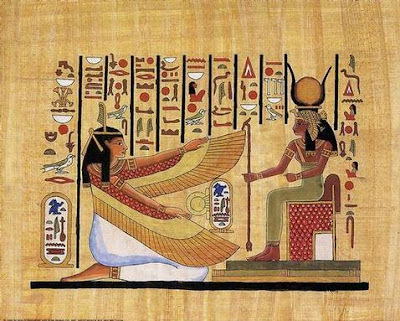 In fact, I believe the Egyptian influences on Christianity and Judaism, in particular, confirm the truth of the Bible. I have no problem accepting the Egyptian prefigurations of Christ, in particular, and of the Bible in general. As Biblicists, we must understand that it was the sons of Ham that were first endowed with the wires of the revelation of God after the flood. The sons of Ham were Cush (Ethiopia/Nubia), Mizraim (Egypt), Phut, and Canaan (Phoenicia, Palestine). And from Cush, Nimrod was born. The mainstays of Nimrod's kingdom were Babel (Babylon), Erech, Accad, Calneh, in the land of Shinar. From Babylon came the Hammurabi's law, which was in place approximately 1,000 years before the Mosaic law . The Egyptian Negative Confessions, as shared in this article predated the Mosaic law, at least 1500 years. So what is my point? 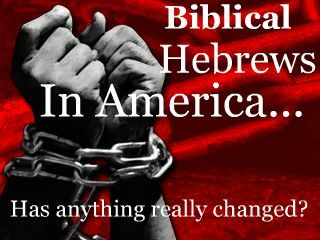 God had been speaking to mankind, long before the coming of the Hebrews, whom I acknowledge as my ancestors, by the way. In fact, it was out of Ham's son Canaan, that a land space was promised to Israel. The Most High later transmitted the knowledge of Himself to Israel (sons of Shem, Eber is actually the progenitor of the Hebrew nation, NOT Abraham), whom he chose to be his corporate prophet on earth. As the fullness of the Gentiles (Japheth) draws to a close, Israel shall reclaim her glorious destiny and rule the world, alongside her Messiah Jesus Christ, or whatever Hebrew designation you choose to call him by (Yeshua, Yehoshua, Yahshua, Yahushua, Yahawashi, etc.) Shalom.